Do you remember when states started adopting the Common Core State Standards? 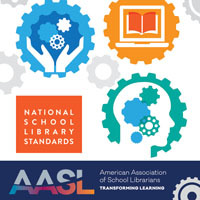 The standards’ emphasis on nonfiction had school librarians scrambling to find “readable” nonfiction as they welcomed the opportunity to help teachers with the shift away from fiction. 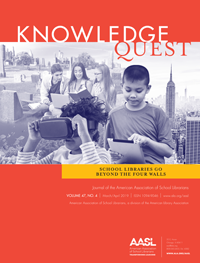 We reintroduced teachers to our databases so they could find relevant nonfiction articles for their students to read and augmented our nonfiction collections by purchasing the most interesting and engaging texts we could find. While we still loved picture books and novels, we developed a heightened interest in nonfiction. Our methodology for selecting books is unstructured and unscientific. 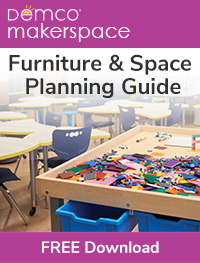 We simply choose books that interest us, titles that are popular with our students, volumes that address issues in the news, and books that meet a curricular need in our libraries. We tend to focus on narrative nonfiction and on expository nonfiction; some of the titles we choose are well-known, while others are more obscure. With thousands of YA nonfiction titles published every year, we obviously can’t know about — much less read — all of them, so I know we miss a lot of good ones. Nevertheless, we provide our colleagues with a list of titles worthy of consideration for purchase. 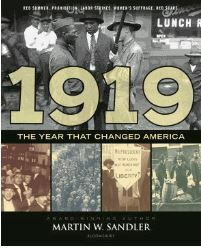 1919: The Year That Changed America by Martin W. Sandler. Bloomsbury Children’s Books, 2019. This informative and entertaining book provides a glimpse into American life one hundred years ago. The author explores the impact of a transformational year by examining six events: Boston’s Great Molasses Flood, passage of the 19th Amendment (women get the vote), race riots (known as the Red Summer), the First Red Scare, labor unrest (labor strikes), and Prohibition. Writing in a way that is accessible to middle school and high school students, Sandler incorporates interesting examples into the text and includes plenty of historical photographs that draw the reader in. Moreover, he does an excellent job of showing the relevance of history by making a connection between the past event and a current one at the end of each chapter. (For instance, he compares the Red Summer to the Black Lives Matter Movement.) This is a perfect title for students who are curious about the past and for teachers looking for interesting facts and anecdotes about the era to share with students. 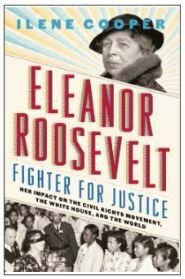 Eleanor Roosevelt: Fighter for Justice by Ilene Cooper. Abrams Books for Young Readers, 2018. This book captures the reader’s attention on the first page by telling the story of the then-former first lady driving through the hills of Tennessee in 1958 (before former presidents and first ladies had Secret Service protection) with a pistol by her side for protection because the Ku Klux Klan had placed a $25,000 bounty on her head. The next few chapters provide an overview of Eleanor Roosevelt’s early life before detailing the awareness of civil rights issues she developed while first lady and her efforts to bring about change. For example, she tried to persuade her husband to support the anti-lynching Costigan-Wagner Bill and encouraged him to integrate the military. Cooper’s use of anecdotes and details make her subject come alive. Even if you think you have plenty of great books about Eleanor Roosevelt in your collection, you should still purchase this one. 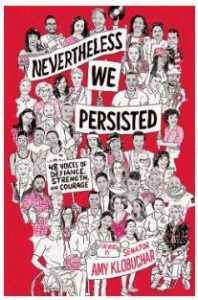 Nevertheless, We Persisted: 48 Voices of Defiance, Strength, and Courage. Alfred A. Knopf, 2018. One of many books on this year’s list with a focus on activism, this volume consists of a collection of essays by 48 successful individuals from different walks of life. They include activists, authors, entertainers, athletes, and a Holocaust survivor. Each contributor describes a time they faced discrimination, ranging from microagressions to genocide, due to their race, gender, religion, or sexual identity. These personal anecdotes are poignant tales of injustice, determination, persistence, hope, and overcoming adversity. An inspiring read, this book serves as a reminder of our common humanity, is an excellent tool for building empathy, and a good choice for a read-aloud character education lesson. An individual essay might also be used by a language arts teacher as a mentor text. Spooked! How a Radio Broadcast and The War of the Worlds Sparked the 1938 Invasion of America by Gail Jarrow. Calkins Creek, 2018. Jarrow, one of my favorite nonfiction authors, is a master when it comes to making long-ago events seem relevant and interesting to readers. 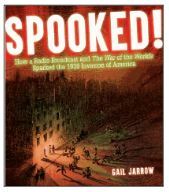 Spooked!, a Sibert Honor Book, revisits Orson Welles’s famous radio broadcast and the panic it created. Jarrow’s engaging narrative and use of primary sources place the event in the context of the time while telling a suspenseful story. Profiles of Welles and others involved in the production provide an additional layer of depth and understanding. Moreover, the author skillfully compares the broadcast to today’s “fake news,” providing an opening for meaningful discussion and analysis. This book is an excellent choice for students who enjoy a suspenseful story or for showing students that evaluating sources of information has always been important. 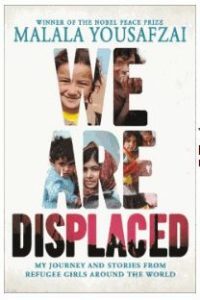 We Are Displaced: My Journey and Stories from Refugee Girls Around the World by Malala Yousafzai. Little, Brown and Co., 2019. Of all the nonfiction titles on the list focusing on immigrants and/or refugees, this is the one that is most frequently circulated in my library. Malala, who is well-known to students as a humanitarian and the youngest person ever to win the Nobel Peace Prize, shares details of her early life in Pakistan and profiles several other girls who were also forced to leave their homelands, countries that include Syria, Yemen, Iraq, Guatemala, and the Congo. The stories are ones of heartbreak, arduous journeys, family separation, and resilience. The focus on refugee girls (as opposed to adults) and the author’s ability to convey the danger in each girl’s situation allow teen readers to empathize even if their own life experiences are completely different. Malala effectively shows the human side of the refugee crisis by sharing the stories of girls facing and eventually overcoming dire circumstances, making this is a great book for building empathy. Sharing informative and captivating books like these with patrons is the reason my passion for YA nonfiction remains strong even though the mania over the Common Core has lessened. Now that the 2019 workshop is behind me, I’m looking forward to reading a new crop of books as I begin to prepare for next year’s presentation. 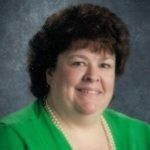 ‹ Learner-Ready School Librarians for a Community of Readers! Thanks for this great list. I’m always looking for more compelling nonfiction titles for my library.